The Ferret can reveal that Anne Anderson has resigned as £80,000-a-year chief officer for compliance at the Scottish Environment Protection Agency (Sepa), where she oversaw the £2 billion fish farming industry. She is going to become director of sustainability at the Scottish Salmon Producers’ Organisation (SSPO), which represents multinational fish farming companies. Her surprise move has sparked a chorus of criticism from environmental groups, who accuse Sepa of lacking “bark or bite”. They are calling on Scottish ministers to ensure that “revolving doors” between regulators and industry do not result in independent regulation falling prey to “industry creep”. The Ferret reported in December 2017 that Anderson, then head of Sepa’s regulatory services in the north, attended an anniversary dinner hosted by SSPO. She was also given breakfast by two fish farming companies in June 2017, resulting in allegations that Sepa was being “schmoozed” by polluters. For the last year Anderson has been leading work at Sepa to develop a new plan for regulating the fish farming industry. The plan has been drafted and is due to be agreed by Sepa soon. But in the last few days she surprised Sepa staff by telling them that she was leaving to join SSPO. Her move is part of a major reshuffle at SSPO following the appointment of former Scotch Whisky Association boss, Julie Hesketh-Laird, as chief executive in January 2018. SSPO announced on 18 September that it was appointing The Times Scottish political editor, Hamish Macdonell, to a newly created role as director of strategic engagement. The farming of salmon, which earns £600 million a year as Scotland’s biggest food export, has been hit by a raft of problems with disease and lice in recent years. The industry has been strongly criticised by one committee of MSPs at Holyrood and is under investigation by another, with a report due to be finalised in the next few weeks. Anderson will have been involved in the highest level political conversations about the future regulation of the industry in Scotland. 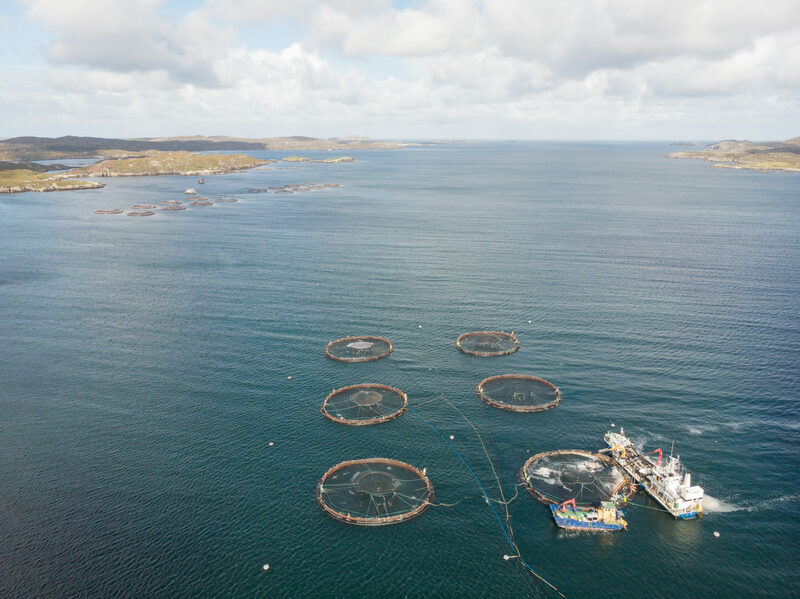 Guy Linley-Adams, solicitor for the campaign group Salmon and Trout Conservation Scotland, pointed out that Anderson had given oral evidence for Sepa to the Scottish parliamentary inquiries on fish farming. “For her to now pop up working for the industry cannot, or should not be very comfortable for Sepa or for the Scottish Government,” he said. Don Staniford, director of Scottish Salmon Watch, claimed that two former Sepa pollution officers had previously joined a fish farming company. “Sepa’s revolving door policy with the salmon farming industry is a bad joke and leaves the nasty taste of farmed salmon in the mouth,” he said. Lynn Schweisfurth from Scottish Salmon Think-Tank, highlighted other instances in which local authority regulators had joined the fish farming industry. “From the outside it looks like the industry is preparing to increase its access to government authorities as it bids to double farmed salmon production by 2030,” she said. Green environment spokesperson Mark Ruskell MSP urged Sepa to shift from being a “critical friend” to being a “robust regulator” of the farmed salmon industry. “New regulations under consultation to govern the industry will be a key test as to how far Sepa is prepared to stand up for the environment against a well funded and recruited industry lobby,” he said. Given her move to a trade association for a sector regulated by Sepa, Ms Anderson will leave the organisation on Friday 21 September. Sepa confirmed that Anderson was leaving. “On Monday 17 September Anne Anderson notified Sepa of her resignation to take up the role of sustainability director at the Scottish Salmon Producers’ Organisation,” a Sepa spokesperson told The Ferret. After being approached by The Ferret, SSPO issued a statement announcing Anderson’s appointment to the “newly created” post of sustainability director. But the industry body declined to disclose her salary and said that no start date had yet been confirmed. “Anne will develop and coordinate an industry strategy for sustainable business to support responsible growth. She will champion industry best-practice in farming excellence and fish health as well as supporting the industry to deliver on its commitment to the 10 year farmed fish health framework and other industry initiatives,” the statement said. SSPO chief executive Julie Hesketh-Laird, was also delighted. “Anne brings a range of skills from her previous role in Scotland’s environmental regulator, which will be invaluable in supporting the Scottish salmon farming industry’s drive for continuous improvement and excellence in fish farming, fish health and other production practices through the supply chain,” she said. The Scottish Government declined to comment. This story was updated at 13.00 on 19 September 2018 to include a statement from the Scottish Salmon Producers’ Organisation.